Below you can view the Reffkin Participation Path as well as sign up for Tournmants held by Reffkin and USTA Sponsored events. Please view the tournaments below and register today to participate! 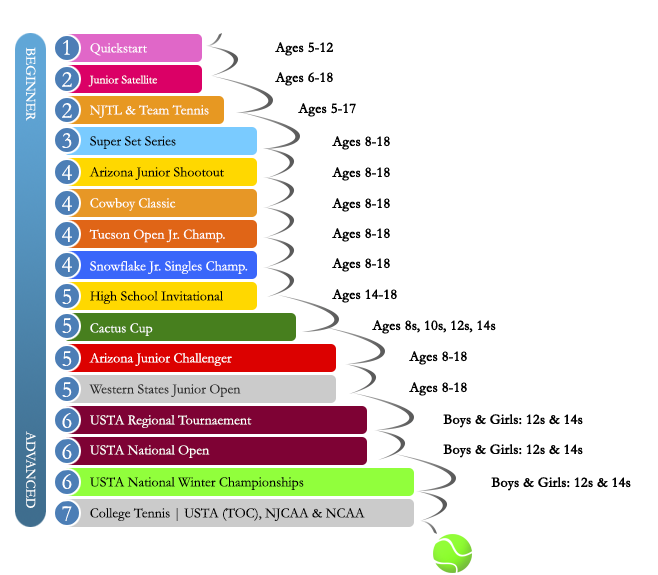 The Tennis Participation Path is an innovative system that clearly illustrates the competitive skill level of our tennis events. This path provides a simple, incremental progression from beginning to national or collegiate level tennis that parents and players can easily understand.